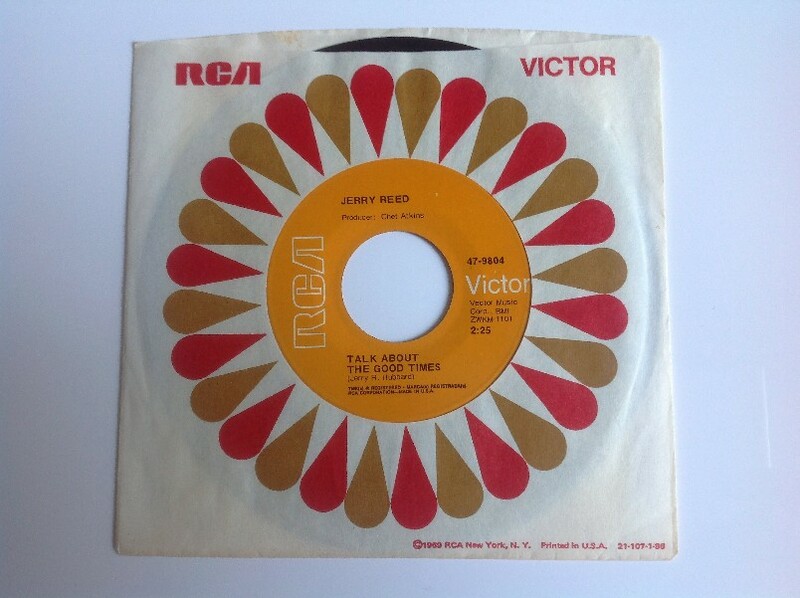 Jerry Reed also wrote "Guitar Man" and "U.S. Male." Jerry was born in Atlanta, Georgia, in 1937. He started to play guitar at age eight and was particularly inspired by Merle Travis's "I Am A Pilgrim." He started recording for Capitol in 1955, but with little success, so that he left the company in 1958. By 1961, Jerry had completed his miltary service (1959 to 1961), during which he played as a member of the army's Circle-A Wranglers band, and had developed his "claw style" method of guitar playing. After a brief and unsuccessful time with Columbia Records, Reed signed with RCA. His first top 20 hit came in 1967 with "Tupelo Mississippi Flash," a song about Elvis. He was voted Instrumentalist of The Year in 1970 by the Country Music Associatiion and won a Grammy for the number "When You're Hot, You're Hot" in 1971. He won two other Grammy awards, together with Chet Atkins, one in 1970 and the other in 1992. In the mid-1970s he began acting in films such as "Smokey And The Bandit" and enjoyed occasional parts for the rest of his life. Jerry Reed died in September 2008. See also "A Thing Called Love," "Guitar Man" and "U.S. Male."